Many of us start off a new year with extensive lists of resolutions and what we are going to do to change ourselves and our organizations or teams. As the busyness of work or organization tasks and family or social activities continues, it takes discipline to keep those intended changes in front of us and review them on a regular basis. Our best intentions for those weekly reviews falter and we end up barely reviewing them on a monthly basis. Our own leaves of daily living are slipping away as we prepare for the end-of-year retreats, goal reviews, and reflections on self and society as we take measure of our own change strategies. Many of us may not have achieved our change goals. In my years of consulting and being a change agent for CEOs and corporate leadership, I still find the following well-tried and tested formula of change to be the most provoking call to renew one’s goals. You can apply it vigorously to help overcome underachievement in your change strategy. Multiplying the three variables DxVxF creates the critical mass and momentum greater than the resistance (R), propelling the organization/person to a new state or level (C). The art form is to utilize the variables (levers) deftly and with integrity. When and how to use them takes practice. Also required is incorporating external factors. In the corporate world these encompass such realities as industry trends, competitor analysis and customer expectations to use as tools to combat insular thinking. On a personal level, it requires vulnerability to shine the light on our own resistance, including feedback from our partners/families, on not having the courage to face difficult situations whether financial or emotional, on blaming others within our close circle for goals not achieved, and taking the victim stance rather than an open and vulnerable hard look at our inner person. We realize that what we had intuitively glimpsed when we mapped out our goals at the beginning of the year is now staring at us boldly in a reality check. That performance issue with financial planning that never got addressed earlier? It may now morph into a hard turnaround demand, staff cuts, discounted inventory sell-off and other ripple effects. What about the accountability issue with not holding weekly review sessions and MBO meetings? The continuing chaos of missed communications to key stakeholders results in a lack of commitment to the results and emotional withdrawal from these same people. Difficulty with having those regular straight talks with partners and family members? This may now manifest in ugly ultimatums – “do this now or else … move out, we get a divorce … I cut off your inheritance,” etc. The cudgel blow is needed to get us to to move toward our change. It does not need to be that way. Resistance is painful but it does not need to be brutal. As difficult as it is to become open and courageous and to have meaningful dialogue with understood consequences if agreements are not met, the chaos that can result from not implementing the change formula is not a preferred state of well-being. Corporate weakness and personal health issues are unwelcome guests when required change is not achieved. 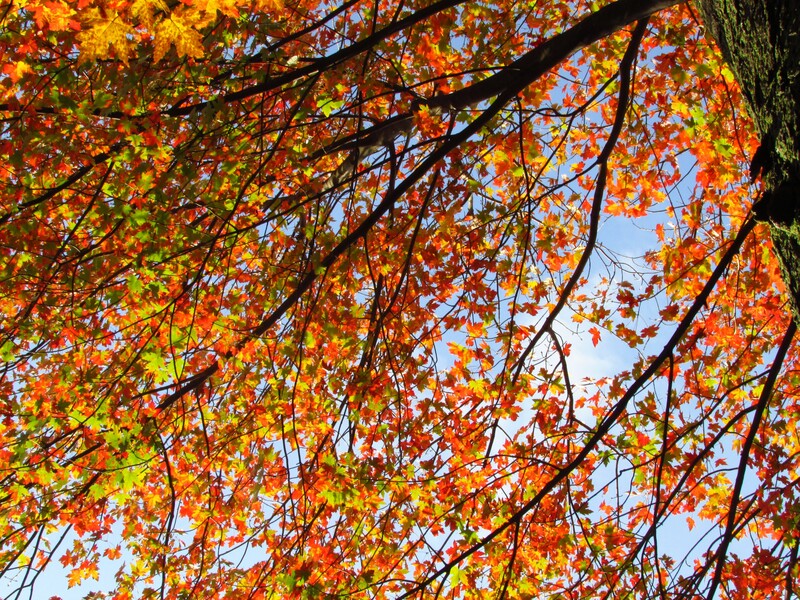 Looking around us in this fall season, we can now view the trees in their bare skeletal structure, seeing where potential weaknesses in the branches are that may need to be removed for better growth in the spring. Now is the time to make those changes to ensure healthy growth. I encourage you to apply the change formula to yourself and your organization, to dig into the issues that are stopping you from reaching those goals, to see where your greatest resistance is. By incorporating practices to utilize the three variables (levers) DxVxF deftly and with integrity, you will become your own change wizard. An earlier article provides more insights into this work. You can be leafless (vulnerable) and still be boldly strong.